South Africa | Make Time For Sports. From hero to villain, from fame to notoriety, Oscar Pistorius has been in the news for the best part of the last decade. Following the tragic event and the enormous global interest, the family of Oscar Pistorius has taken the decision to devote his official website to the latest news about developments as well as messages of support. 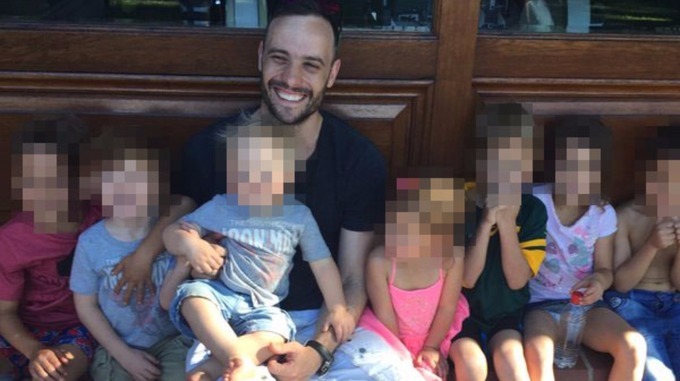 Mr Arnold Pistorius, uncle of Oscar, said on behalf of the family: ‘We believe that this is an appropriate way to deal with the expressions of support we have received as well as keeping the media informed about any key developments in the case. The web-site does not deliver what it promises. At least, not right now. All the links are broken: a reflection, perhaps, of a broken man. Oscar Pistorius was born on 22 November, 1986. His parents were Henke and Sheila Pistorius. Oscar is a middle child amongst three; he has an elder brother Carl and a younger sister Aimée. His legs were amputated half-way between his knees and ankles when he was 11 months old after he was diagnosed with fibular hemimelia (congenital absence of the fibula) in both legs. Pistorius was quite the ‘sport’ while in school participating in rugby, water polo, tennis and wrestling. When he was 18, he was introduced to running post a serious rugby knee injury. Pistorius began sprinting in January 2004. He qualified for the Athens Paralympic Games that year and won bronze in the 100 metres and gold in the 200m. Pistorius never looked back since. His sporting motto, “You’re not disabled by the disabilities you have, you are able by the abilities you have,” was a source of inspiration for many. He reached the pinnacle of his sporting achievements when he was allowed to participate in the 2012 London Olympics representing South Africa in the 400 metres and the 4 X 400 metres relay. He also carried his country’s flag at the closing ceremony. Pistorius appealed against the adverse decision to the Court of Arbitration for Sport (CAS) in Lausanne, Switzerland. His protest was upheld. The CAS panel determined Pistorous had no net advantage over able-bodied athletes especially when considering the handicap he suffered in comparison to normal athletes when starting and accelerating. Pustorius was thus able to participate in the 2012 London Summer Olympics fulfilling his dream of representing his country alongside normal athletes. Pistorius is the recipient of numerous awards including Order of Ikhamanga in Bronze (OIB) by the President of South Africa for outstanding achievement in sports, BBC Sports Personality of the Year Helen Rollason Award in 2007, Laureus World Sports Award for Sportsperson of the Year with a Disability for 2012 and a honorary doctorate from the University of Strathclyde in Glasgow. He also made the Time 100 twice—in 2008 and 2012. This could very well have been a ‘and they all lived happily ever after’ fairy-tale ending. Pistorius hit the headlines again the following year when he shot and killed his girlfriend Reeva Steenkamp allegedly mistaking her for a possible intruder. The disabled athlete—after a six-month trial—was convicted on one charge of culpable homicide, two counts of negligent use of a firearm and one count of possession of illegal ammunition. Judge Thokosile Masipa did not find Pistorius guilty of murder with direct intent or common murder (dolus eventualis). The amputee claimed that he believed that he was firing on an intruder who had broken into his house. The claim is plausible enough given that home robbery or home invasions are a growing problem across all provinces in South Africa. 2012 National Victims of Crime Survey (NVCS) states that half of households surveyed feared this type of crime. The 2012 Survey also states that home robbery increased nationally by 64.4% over the past eight years. While the fear of this kind of crime is high, it is a relatively rare occurence. Only 4.5% of households experienced a home robbery between January 2007 and December 2011. “75% of home robberies occur at night, with the most vulnerable times being in the late evening between 21:00 and 23:59 and very early morning between 00:00 and 02:59. More than half (55%) of home robberies take place at these times, in all likelihood because people’s guards are down when they are relaxing or asleep. Two-thirds (66%) of home robberies are committed by small groups of two to three robbers. Most robbers were said to be males between 15 and 34 years of age. Pistorius’ case has since gone to appeal to the Supreme Court. The State hopes to overturn the verdict of culpable homicide and either force a retrial or a resentencing. The double amputee could face up to 15 years in prison under the new charges. The Paralympian was sentenced to five years in prison but is now out on bail after serving ten months in prison. Reeva Steenkamp’s mother June was forgiving and accepting of the reduced sentence on Pistorius. June added that she still has “nightmares about what happened to her when she was trapped behind that door and how she died”. “Maybe if he wasn’t so famous…I think if he would have just been a normal guy in the street he would have maybe had a stiffer sentence”. Oscar Pistorius was most recently in the news celebrating his 29th birthday at his uncle’s mansion. The sprinter is now the same age as his deceased girlfriend. Oscar Pistorius was today found guilty of murder by the South African Appeals Court. The fresh sentence will be pronounced later. Oscar Pistorius’ Supreme Fight: Murder or culpable homicide? ‘Blade Runner’ Oscar Pistorius continues to be in the fight of his life. The Paralympian and Olympian’s freedom centres around the State’s appeal to the Supreme Court seeking to overturn the previous verdict of culpable homicide. State advocate Gerrie Nel is arguing that the verdict returned should have been murder instead—in effect, a call for a stiffer sentence for the amputee. Pistorius was earlier sentenced to a five-year term in prison. He has since been released after serving ten months. He was expected to finish the rest of his sentence at his uncle’s Waterkloof home under strict bail conditions. South African laws permit prisoners to released after serving one-sixth of their sentence if they are deemed not a threat to society. If Pistorius is convicted of murder, he will face at least 15 years behind bars. The South African was convicted of killing his then model girlfriend Reeva Steenkamp on Valentine’s Day in 2013. The athlete fired four shots through a toilet door claiming there was an intruder in his luxury Silver Lakes, Pretoria, house. The new judgment hinges on Pistorius’ state of mind when he let loose the volley of shots—whether he believed that they would kill. The judges have to take into account that the defendant is handicapped and would have been unable to escape easily from his home. Professor Stephen Tucson, who teaches criminal law and procedure at Wits University, believes that the State has a strong case. (This is part I in a series). Blame the pitch, blame the curator, blame your bowlers, blame your batsmen, blame your running between wickets, blame your fielders but never ever, ever blame the opposition for out-batting, out-bowling and out-playing your side through the most part of the series. Ravi Shastri allegedly had harsh words for Sudhir Naik, the Wankhede curator. 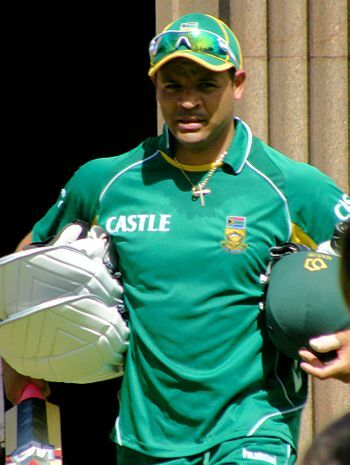 He expressed his displeasure after the South Africans posted a mammoth total on a benign wicket all but wrapping up the series before the Indians came out to bat. His behaviour is to be deplored. Curators are responsible for preparing pitches keeping in mind soil and weather conditions. Indian skippers and support staff seem to believe that they ought to always be given the extra edge, not by taking scheduling and conditions into account, but based on how they have fared in the series up to that point. Naik claims that he was told to prepare a turning wicket just two days before the game—an impossibility. It is time that Indian team management admitted that they are no longer bully boys on sub-continental wickets given that their South African, Australian, English and Kiwi counterparts are now accustomed both to the heat and the batting conditions courtesy the IPL. They would be better off choosing the best bowlers for all conditions rather than ‘horses for courses’. The BCCI should also spell out specific guidelines in their newly drafted conflict of interest rules that would prevent such a situation recurring in the future. Curators’ decisions must be independent of the Indian team’s vagaries and fortunes. Therein lies the best interests of Indian cricket. The question then is: Are these the best players in the country at the moment? If not, where are the ones who deserve to be in the side? Why have they been overlooked? Dale Steyn would rather not play craps in the car park. Dale Steyn has not forgotten his war of words with the Australian skipper Michael Clark during the Newlands test in March this year. “I haven’t really spoken to him [Clarke] much since then to be honest. I don’t take many things personally, but what he did say to me I did take personally. I know he apologised in the media and I should be playing this down. Steyn is still upset with Clark for what he considers a personal sledge. “I don’t think I can mention it over the air now”. “[That’s] why I said if I see him we’ll have a normal chat between the two of us. It’s got nothing to do about I’ll see you in the car park and we’ll beat the crap out of each other. It’s got nothing to do with that man, maybe I just said too much in Zimbabwe. The issue got blown out completely, it was like two schoolgirls the way the media got hold of it. I felt like Clarkey had his opportunity to say something at the end of the Cape Town Test and obviously I wasn’t in the press conference there and the next opportunity I got was a couple of months later in Zimbabwe so I said what I felt. “Aussies are that kind of side they’re always in your face.I think of all the sides that play Test cricket in the world, the Aussies are always well known for being in your face kind of cricketers, kind of bullying teams and stuff like that. I don’t play my cricket like that personally. I may look like that when I’m on the field and everything like that but I am a fast bowler, that’s just what you’ve got to do at the end of the day. I don’t quite agree with the way some of the things are done I think there’s a line. And I try to stay close to that line but never over-stepping it and if I do over-step it, I’ll be the first guy to put my hand up and say I’m sorry and go and do whatever I can to fix that. A fake Quinton De Kock Twitter account was in the news with leading dailies attributing the above tweet to the chubby-faced South African opening bat. 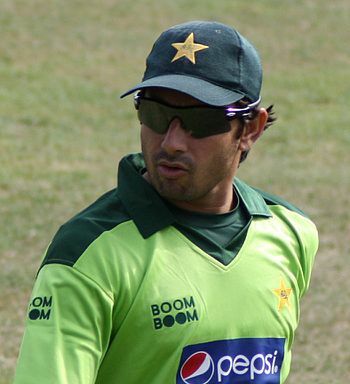 Saeed Ajmal has been banned with immediate effect from all international cricket after his bowling action was deemed illegitimate by the ICC. Bio-mechanic analysis revealed the the Pakistani off-spinner flexed his elbow as much as 35 degrees against the permitted 15 degrees. The bowler can apply for a reassessment anytime once his action has been rectified. However, he is permitted to take part in domestic cricket under the supervision of his country’s cricketing board, the PCB. Maninder Singh, a former India left-arm spinner, squarely blamed the ICC for the current mess. 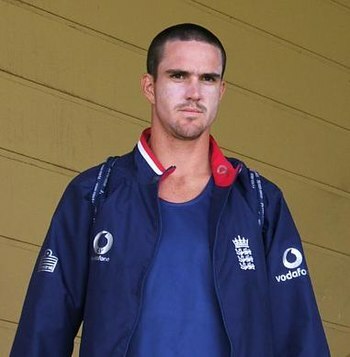 “It is disappointing to learn the result of the biomechanic test in Brisbane but I have not given up. I don’t see the ban as a major problem as I know I can work out on the flaws and make a comeback. Obviously, I have to follow their advice but from what I know is that once we get the full medical report, we have a right of appeal and to challenge these findings. “”It was inevitable. But it’s a decision taken too late, when all the damage has been done and Ajmal has taken so many wickets in international cricket.